Businesses of every size that work with scheduled employees. Please contact LyGil for pricing details. 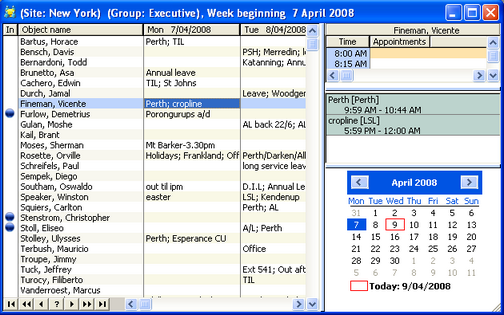 Company calendar that allows to see all employee activities, appointments, and availability at a glance.